I'm reading the Larry Cole series over. I found all the books on Amazon (used). The characters are interesting and I pretty much always love books set in Chicagoland. 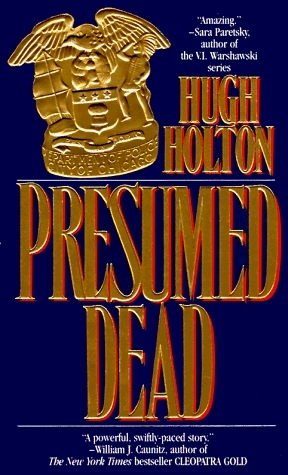 I really like Hugh Holton's writing and was very sad that he passed away so young. It was interesting in the fact that as a lifelong Chicagoan I could relate to the setting. I am not crazy about the author's style although I will be reading more in the series. This was the first book in this series. Read years ago and still good on the second read. A little woo woo, like Preston and Child, and plot and story move quickly thanks to Holton's real life experiences as a Chicago police captain. The protag Larry Cole gets it on with his subordinate, not cool.This is the first of 10 in the series, and subsequent show some increased polish. Sorry that Holton died young in 2001. Not your usual cop mystery. Odd things have been happening at the Museum from it's inception. When a drug bust goes South on the haunted island behind the Museum Detective Larry Cole becomes caught in the Museums' web. This book has a lot of different layers and is well worth a read. This author is an ex-Chicago Cop and his mysteries are all based in Chicago. I have been reading many mysteries lately and I have to say these are the best I have found.